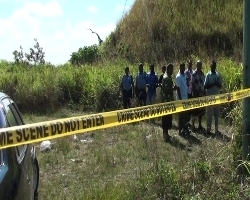 Two youths who were found dead at Korosomo Hill in Tabia yesterday morning had visible injuries on their bodies and police have not ruled out foul play at this stage..
Dead are best friends Samuel Vikash Nand, 17, of Dreketi and Abhishek Kumar, 20, of Tuatua in Labasa. 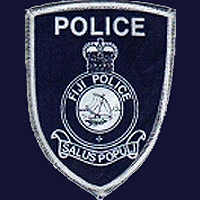 The bodies were found by a 44 year old farmer at the incident scene which is approximately 50 metres away from the Labasa Nabouwalu highway. They were reported missing by family members after they failed to return home on Friday night. The families of the two boys each own a shop at Dreketi. Samuel’s father, Pastor James Nand, said he last saw his son on Friday when he left their home to travel to Labasa for the weekend. He said his son spent most of his weekends with Abhishek in Tuatua. 7 Responses to "Dead Labasa youths have visible injuries on their bodies"
feel sorry about the parents. dat man who killed those boys should b hung to death.